The United States of America is one of the most diverse countries in the world, with more than 326 million people of different faiths, cultures and ethnic groups. In I See the Sun in the USA, the newest installment of the I See the Sun series, readers are introduced to Stella, a young girl from Los Angeles, California who is helping her mother make a video about families living in the United States. Stella travels to Mount Rushmore with her mom and meets Rosa from Alabama, Jamal from Massachusetts, Kristin from Iowa, and Martha from South Dakota. Each child describes a typical day in their life to Stella, which is supported by colorful collage illustrations. With an increase in political divisiveness in the USA today, this book offers young readers the opportunity to learn that although there may be differences from family to family, the basic aspects of everyday life are similar in every state. Children enjoy playing with their friends, they learn new things in school and at home, and they appreciate spending time with their families. Listen to Jordan Rich (WBZ Boston) talk about I See the Sun in the USA. We felt that Ms. King did a great job of showing all parts of our world. She referenced different countries, states, jobs and lifestyles. She showed children that it is okay to be different and what you can learn from someone else. The illustrator, Judith Inglese, did a fabulous job incorporating real life photos in with drawn illustrations. We thought that was a good technique to keep readers engaged. As an educator, I feel that this book is perfect to share with students, even as young as kindergarten. It teaches that diversity is good, and that you can be friends with anyone. It doesn’t matter the color of their skin, their religion, their age, etc. Friends are everywhere if you look closely enough. It provides a small history lesson and it also explains how families can develop, that aren’t the “same” in looks, or where they came from. This would be a wonderful book for anyone to purchase and read with their children. In today’s diverse world, acceptance is SO, SO important. Children start learning as soon as they are born. Having an open mind, can change the world!! 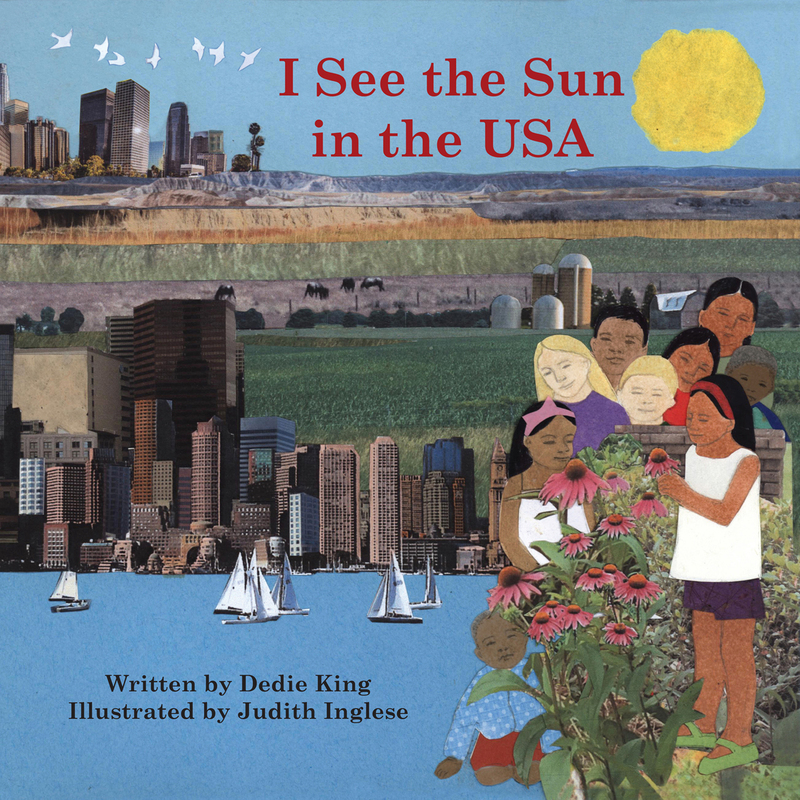 Author Dedie King was a Peace Corps volunteer in Nepal where she taught school. She uses her world travel experience, past and present, as the basis for the stories in the I See the Sun series. Presently Dedie practices Classical Five Element acupuncture both in Hardwick and in Amherst, Massachusetts. Judith Inglese has been designing and fabricating ceramic tile murals for public environments for more than thirty years. Her commissions include libraries, schools, hospitals and municipal and institutional buildings like the National Zoo in Washington, D.C. Her murals often focus on the play and imagination of children as well as cross-cultural exchange and community. Illustrating the I See the Sun series has given her another medium for examining these themes and celebrating children around the world.